On 18 May 2016, Somalilanders celebrate the 25th anniversary of the country’s existence as an independent state. After the notorious regime of Siad Barre had finally collapsed in the aftermath of the Cold War, in 1991, the people of Somaliland seized the opportunity and declared their country independent. However, 25 years later, Somaliland is still not recognised by the international community – even though the country fulfils virtually all international criteria which are usually deemed essential for being regarded as a state. In the 1980’s, the struggle against Siyad Barre’s administration started which was led by the Somali National Movement (SNM). Somalilanders never forgot better days, while the innocent population perished. In 1991, Somalia central government collapsed and Siyad Barrre’s troops – called Lions of Africa – took off and Somaliland got its independence after a long struggle. Until now, the central government of Somalia is not stable and the situation of Somalia gets worse day by day. Even though the international community held an international conference with the support of a hand full of donors, the fight between Al-shabab, the Somali government and Amisom still rages on. 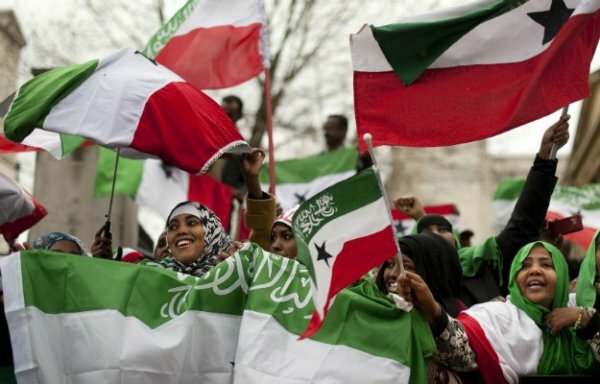 Somaliland self-declared itself independent in 1991, but the international community sees it as a de facto state. Somaliland fulfils all conditions for a system of governance and pillars of democracy. In 2002, Somaliland people crossed a clan-based system and initiated a democratization process. It has held different elections, like local governments, parliamentary and presidential elections, and all elections were free and fair, as witnessed by international observers. Therefore, Somaliland deserves to get international recognition, because it is a national entity that already has completed international requirements and governance pillars and it is important that the international community understands the difference between Somaliland and Somalia. I call for the African Union, the United Nations, the European Union, IGAD and the Arab League to endorse Somaliland’s recognition without any conditions, because Somaliland has its own flag, currency, constitution, Chambers of Houses, national forces and a unity society. At the same time, Somaliland and Somalia continue in a dialogue, in which the Turkish government is the mediator. Somaliland is not bargaining its sovereignty and wants to separate in the best way possible. Today, all Somalilanders are celebrating Independence Day and I hope that the population of Somaliland will achieve its goals in the near future.